James Baldwin and Martin Luther King, Jr. I think the first time I learned about Martin Luther King, Jr. was on MLK day in 2005. It hasn’t been a year yet since my family moved to the U.S., and I started working at a small business owned by my aunt’s ex-husband. Like many new to the country, I was infinitely curious about American culture and a holiday as big as MLK day prodded my young, immigrant mind to inquire. Since then, I’ve seen his name quoted by several writers, read his name on many books, watched films that memorialized him. Given my own struggles as a queer, brown, immigrant woman in the country, I cannot not know who he is. His legacy meant survival for a lot of folks — for black folks, but for immigrants and people of color as well. People from the Third World like myself owe it to the Civil Rights Movement and black leaders for their work and struggle for justice and equality, which has continuously inspired us to struggle for self-determination ourselves. Beyond his infamous speeches and his legacy, I wanted to know and understand his persona from a writer’s perspective. I found this through James Baldwin’s profile on him, “The Dangerous Road Before Martin Luther King” first published on Harper’s in 1961. The article can also be found in Baldwin’s collection nonfiction anthology The Price of the Ticket where I was finally able to read it. The secret lies, I think, in his intimate knowledge of the people he’s addressing, be they black or white, and in the forthrightness with which he speaks of those things which hurt and baffle them. He does not offer any easy comfort and this keeps his hearers absolutely tense. He allows them their self-respect — indeed, he insists on it. This intimate knowledge of the people he’s addressing speaks to me on so many levels, particularly at a time of political uncertainties. MLK Day this year is just a mere four days away from the inauguration of Donald Trump as the country’s next president, a sure cause for alarm. With the new president’s predisposition to spew racism, misogyny and bigotry towards everything he’s not, it is perfectly right to be scared. When I saw Zadie Smith at Book Passage in Corte Madera for a reading, I remember her saying that Obama must have loved his enemies because they were also a part of him. I can’t help but be reminded of MLK himself, as Baldwin was a close witness. I overheard him explaining to someone that bigotry was a disease and that the greatest victim of this disease was not the bigot’s object, but the bigot himself. And these people could only be saved by love. In liberating oneself, one was also liberating them. What does it mean, in our times, to know that people like Trump and his army of bigots, could only be saved by love? How does that look like, and how can that even be manifested? It’s been one of the many questions I have as of late, as I navigate different movements centered on liberation. It’s either my own political consciousness hasn’t transcended anger yet, or that I am caged by what I think is the only solution. Nevertheless, his vision remains and while it is hard for me to grasp, I believe there is a continuum of light. To read Baldwin’s profile on MLK, you can go here (p. 249). You think your pain and your heartbreak are unprecedented in the history of the world, and then you read. Happy belated birthday to poet, writer and beloved radical James Baldwin. 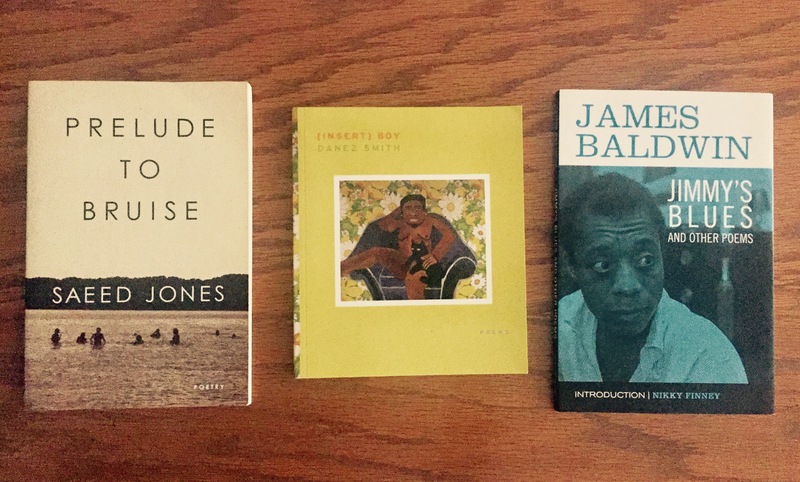 Here’s a previous post I wrote about how I’ve been inspired by Baldwin and his work. I finished Rabih Alameddine’s An Unnecessary Woman last week, a book about a woman in her 70’s in Beirut whose only companions (and family) were books that filled every nook of her home. It is, infinitely, a book lover’s delight (my review will be out on Tuesday).